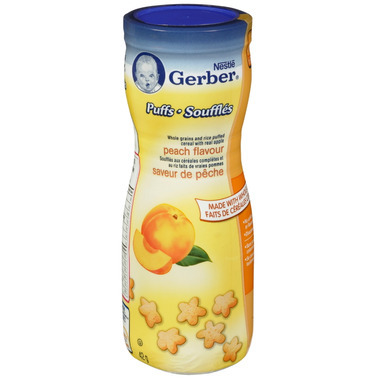 GERBER® Graduates Puffs are light airy snacks made from whole grains and real fruits. It melts in your baby's mouth for easy digestion and are formulated with NUTRIPROTECT™ Blend. NUTRIPROTECT™ Blend contains Iron, Zinc and Vitamin E which offers your child important nutrients that supports his growth and development. Its fun shape and right size make Puffs a great choice for that perfect first fingerfood.